The Supreme Court, on Thursday adjourned the hearing of an appeal by former National Security Adviser, NSA, Col. Sambo Dasuki(rtd) to January 25, 2018. 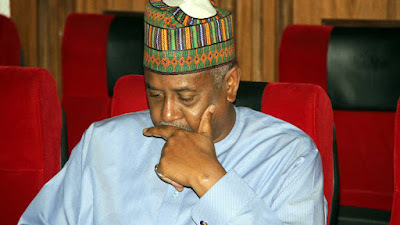 Dasuki, who was the NSA during the immediate past government of President Goodluck Jonathan, had filed an appeal before the apex court praying that it compels the Federal Government to release him from custody. The former NSA, in the appeal also prayed the Supreme Court to order the Federal Government to obey the bail orders granted him by the Federal High Court Abuja and the ECOWAS Court.